We at Backtime smelt this comeback coming even while #7 was still serving 2-to-3. There was too much ability and too much game to count him out. His time as a guest of the federal government gave him pay his debt to society, and emerge like so many others, with a second chance...to play the game that he redefined. And the other thing that nobody talks about - he didn't take a hit in 3 years. He's still only 30 years old with a football age of 27. And now we see a new piece to the Vicksaw puzzle: poise. Not only has he become a pass-first Quarterback, but he's playing now with a serenity to go with his sizzle. And you can make the argument that he's playing with the type of speedy skill players that Donovan McNabb never had (the Eagles ironically take on McNabb and the Skins this weekend). 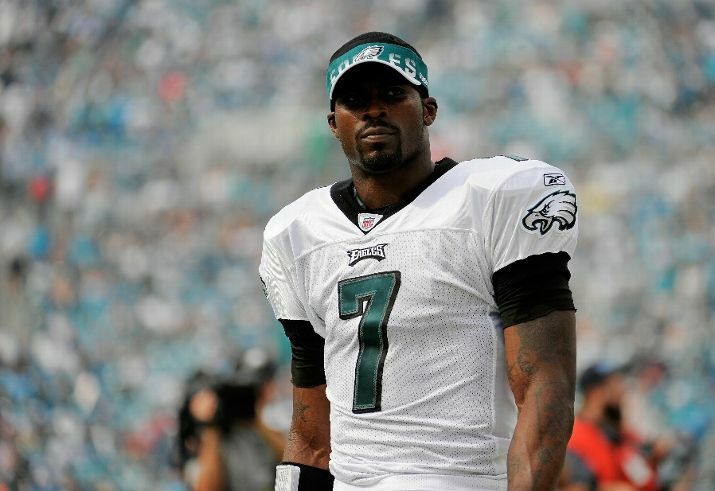 With LeSean McCoy, DeSean Jackson, and Jeremy Maclin to complement him, Vick doesn't have to do things on his own the way he did his early days in Atlanta (or McNabb throughout his career in Philly). Vick can trust the guys around him, and if he can trust himself, he may just have a season for the ages. Just as we forecast over a year ago. 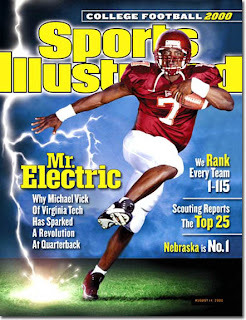 July 27, 2009 - The Trick for Vick: Gotta be like "Mike"